In the beginning, there was Chicago Transit Authority, with its ground-breaking blend of Pop and Jazz … featuring the songs and the singing of Robert Lamm. This ‘Avant Garde’ music found incredible international success with more than a few albums. Here is a new collection of Robert Lamm songs, which will remind you of the eclectic approach of those early Chicago albums, but with a very modern flavor! Amen, Robert. Kudos for hitting this one out of the park and into the parking lot! S&P is truly worthy to be called a masterpiece. When prominent members of successful bands make solo albums, they tend to take one of two approaches: either they try to avoid sounding like the parent groups, or they don’t. Robert Lamm, keyboardist and singer with Chicago, for the most part went the former route with his first three solo albums, and there was much validity to that, if only because the band’s most identifiable style — its horn sound — was played by others. Lamm did bring his familiar strengths to his solo albums, particularly his direct, personal way with lyrics and his eclectic musical taste. But usually you wouldn’t mistake a track from one of those albums for a Chicago recording. His fourth album, Subtlety & Passion, is a different story. Most of the tracks on it would fit easily onto a Chicago album, especially one of the band’s LPs from the mid-’70s. One reason for this may be that some of the material originally was earmarked for a new Chicago album that did not see release. (Most of the bandmembers play on this disc.) But also, Lamm is deliberately looking back over his career, and he is using the Chicago style, complete with horns, to do so. “Another Sunday” could be a continuation of the Chicago hit “Saturday in the Park,” “You Never Know the Story” laments the 1978 death of Chicago guitarist Terry Kath, and “Intensity” actually features Kath’s guitar playing. As usual, Lamm trenchantly comments on the world around him in songs like “It’s Always Something” and “Gimme Gimme” (the latter criticizing the entertainment industry’s mania for giving itself awards), as he has before. And, in what should delight Chicago fans, he turns in songs that sound like the band in its early prime, notably leadoff track “I Could Tell You Secrets” and “The Mystery of Moonlight,” either of which could have been a major hit if released in the ’70s. But that is not to say that the album sounds dated. 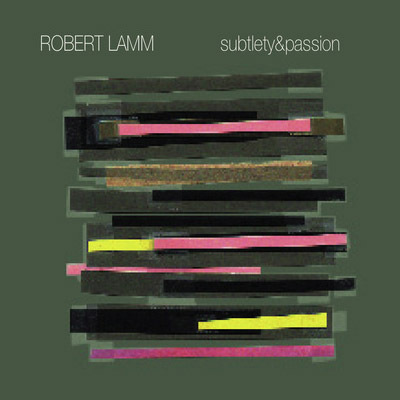 Rather, Lamm, who has sometimes used his solo albums to keep up with contemporary pop sounds, this time has made an album in his classic style. “Subtlety and passion have fallen out of fashion,” he sings, but they remain his artistic goals, goals reached on the album of that name.